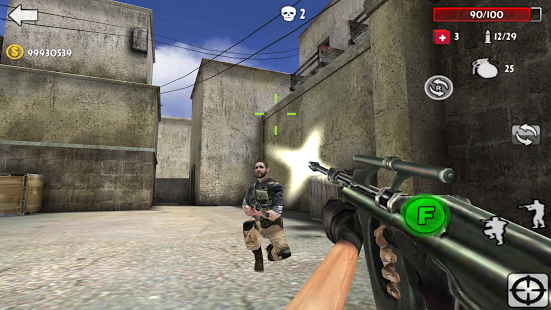 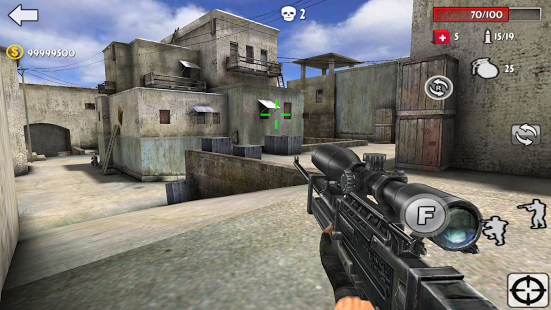 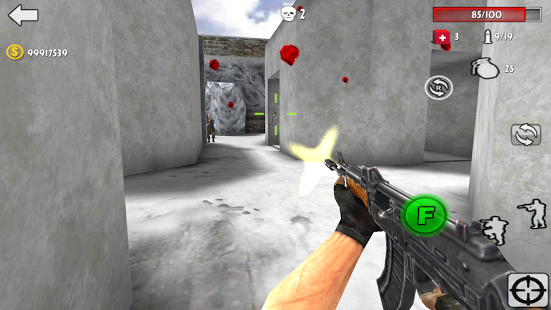 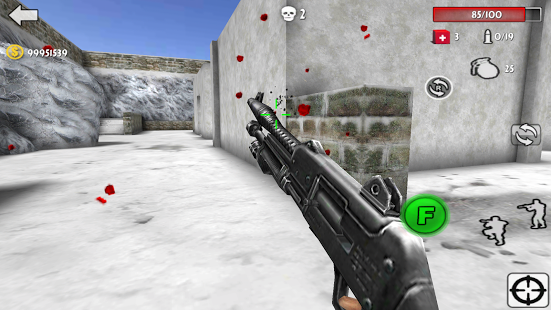 Gun Strike Shoot 3D” is 3D FPS game.Incarnation of the game you will be brave soldier, to experience the true absolute hot stimulating shootout.From the Desert Eagle to AK47 and sniper, as you have access to a variety of light and heavy weapons, as well as powerful grenade too!In the game you can not only choose in the hot desert combat, you can also ice cold in the city to fight, I believe this variety of terrain will be able to ignite the passion of your research.Quickly pick up their weapons, the end of the line of fire, etc. 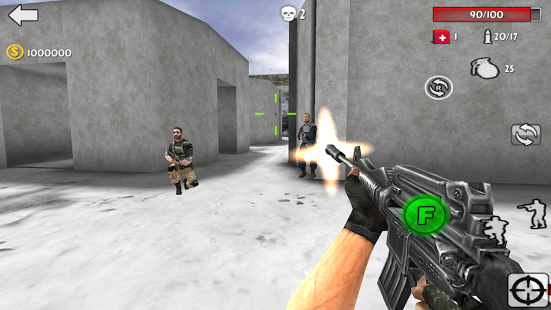 you through! 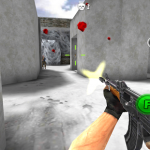 **Game you can adjust the number of robbers NPC and intellectual to meet your desired degree of difficulty, but also can be a variety of different weapons selection and replacement. 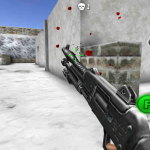 Many types of firearms the game, especially with a sniper rifle up full momentum, (guns have M249, M4A1, AK47, M3, MP5, MAC10, AUG, SG552, P90, Desert Eagle, grenades and so on.). 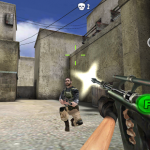 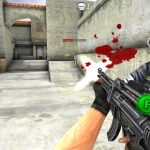 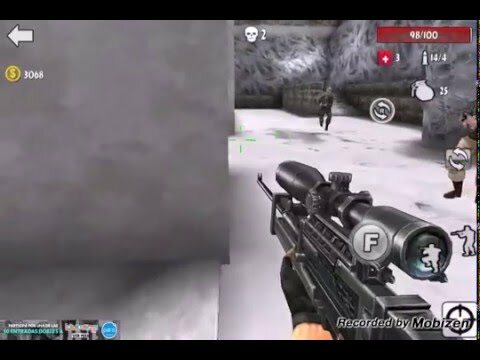 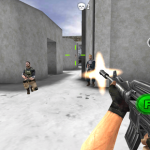 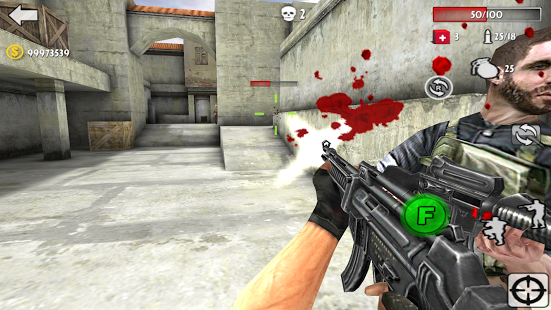 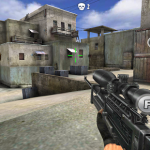 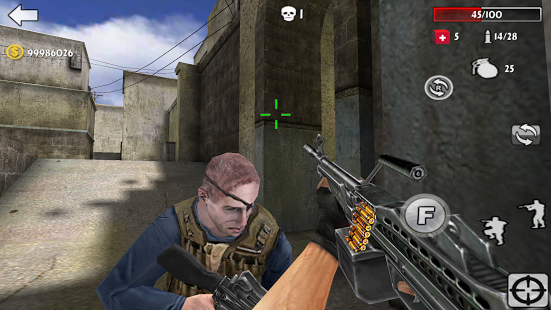 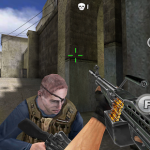 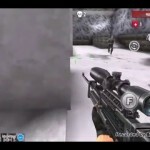 **Shooting guns in the game is very straightforward, shoot the enemy not only has a huge refreshment, but also get a lot of money monetary rewards, expert players up clearance should not be difficult. 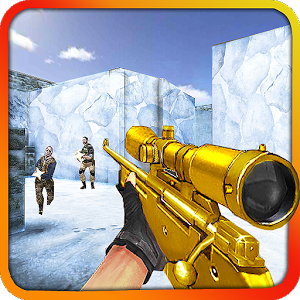 **As a good shooting game, of course, in the game there are several classic battle maps for you to choose, there is desert, city, snow, etc., you will experience a different shooting pleasure. 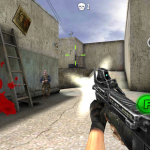 **The overall feel of the game shooting game are very similar, but they are not the same feeling of playing together, using a simple fighting style, novice players can immediately get started! 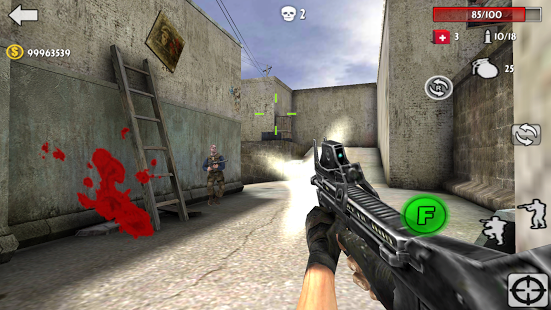 **Game has realistic scenes, flexible battle mode, the overall feeling of the world’s best, fast rhythm, full of intense battle scenes as well as simple, smooth control of the interface, is a rare fun FPS games.